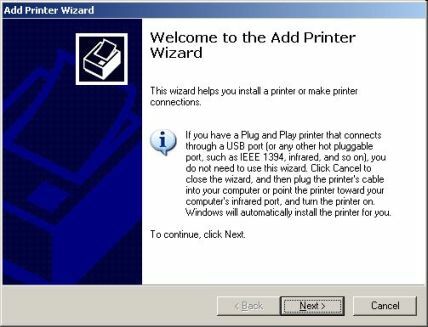 Printer Installation for Windows XP/7 Users outside of the FHI Domain "HABER"
How can i check my printing jobs on the printserver ADPRINT or remove them ? 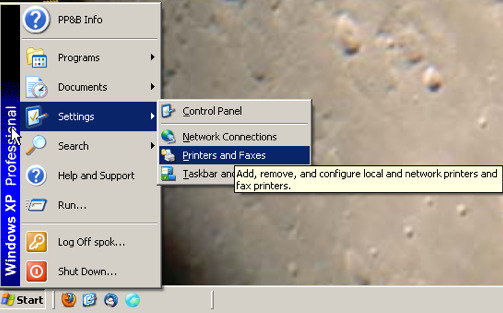 Choose Start-> Settings -> Printers and Faxes. It opens an Explorer Window. 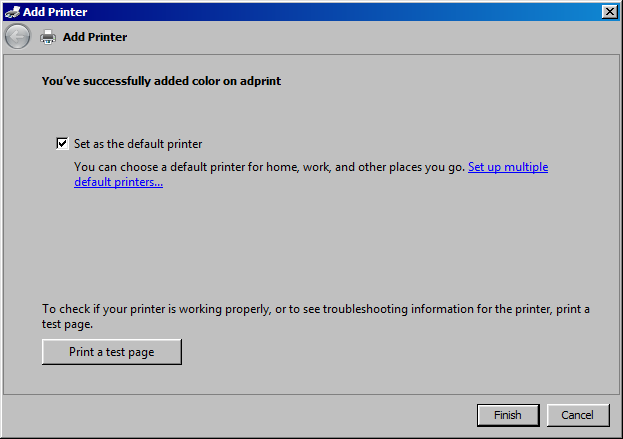 Select the first Item Add Printer and click twice. 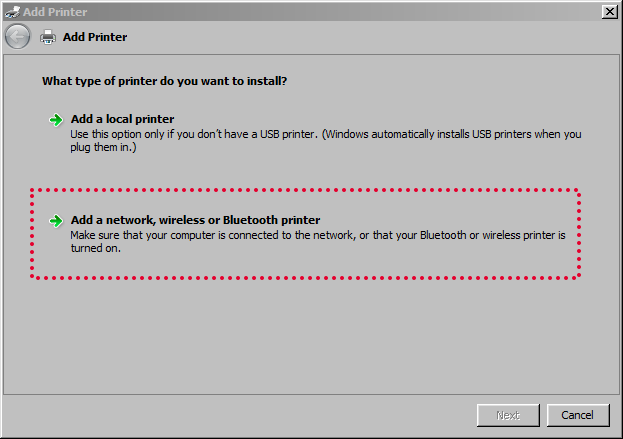 Here you were ask for the type of the printer- network or local. 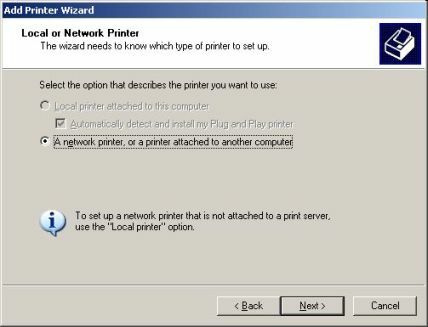 Choose network printer and click Next. Choose Connect to this... and type within the textfield \\adprint.rz-berlin.mpg.de\. 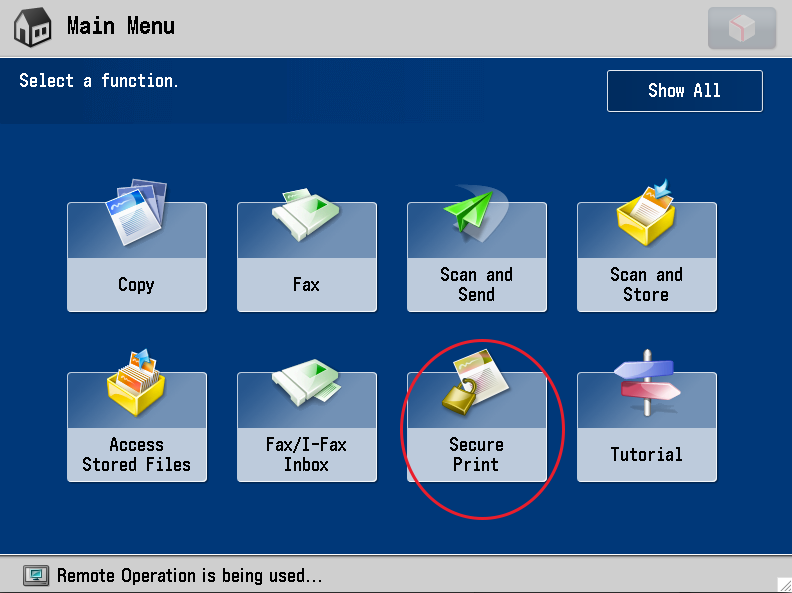 The typing of \ opens a popup window(see picture) and you can choose one of the printers. 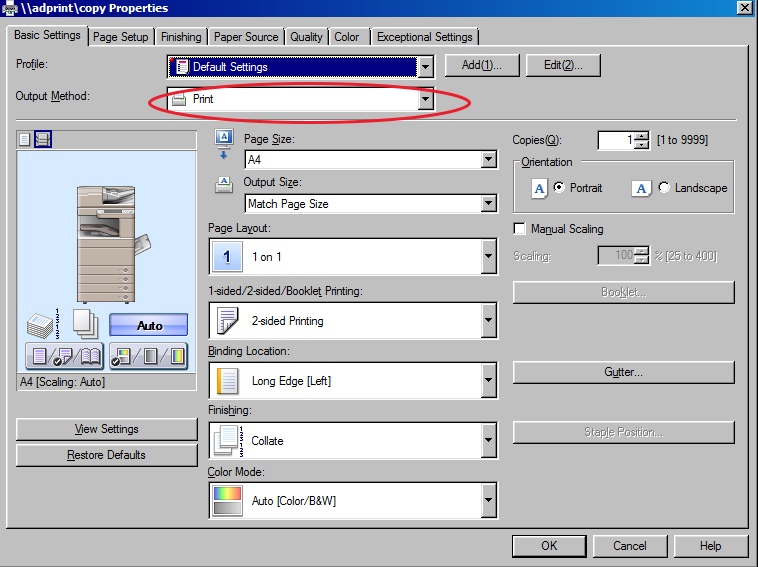 To find the right printer for you look also at the printer list page?. 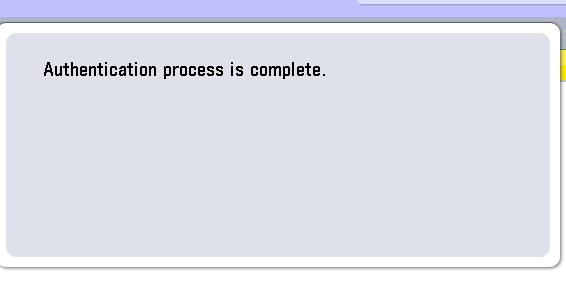 After pushing Next button you can not use Back button to choose other selections. 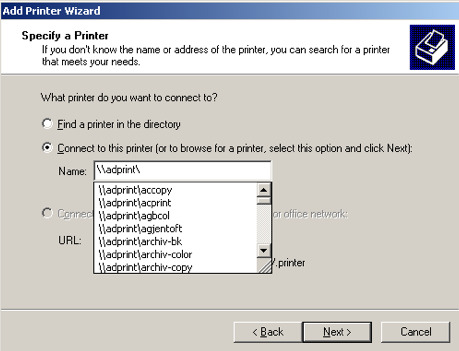 Add Printer Wizard is opened.Choose "Add a nework, wireless or Bluetooth printer" and push "Next"
''Now choose "The printer that i want isn't listed, and hit "Next". 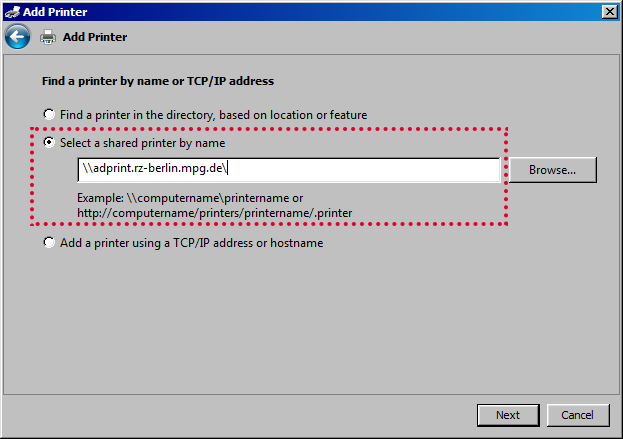 Choose Select a shared printer by name and type within the textfield \\adprint.rz-berlin.mpg.de\. 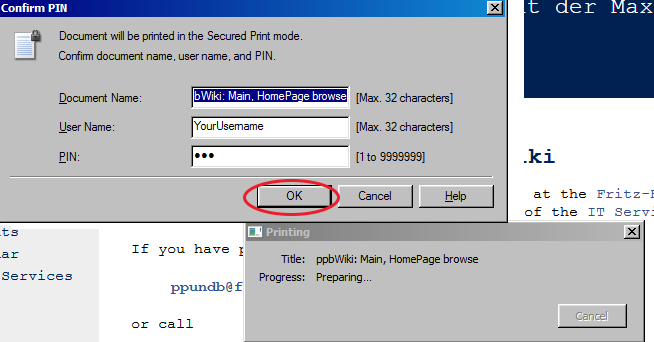 The typing of \ opens a popup windowand you can choose one of the printers. To find the right printer for you look also at the . 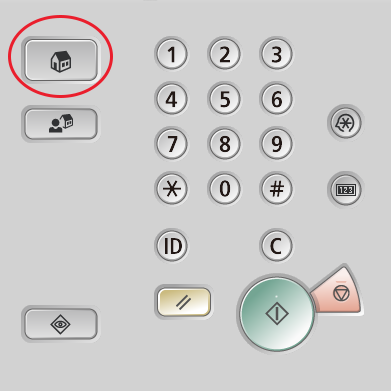 After pushing Next button you can not use Back button to choose other selections. After few seconds the automatic driver installation (for 64bit and 32 bit Systems) will start, please be patient! 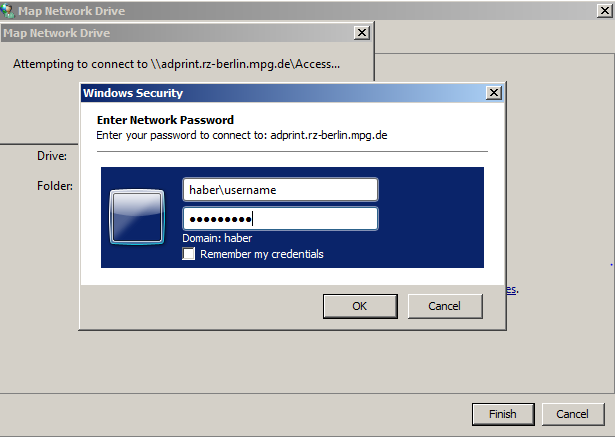 All systems outside of the active directory domain "HABER" must fist authenticate with the print-server "adprint" with their valid fhi username and password. 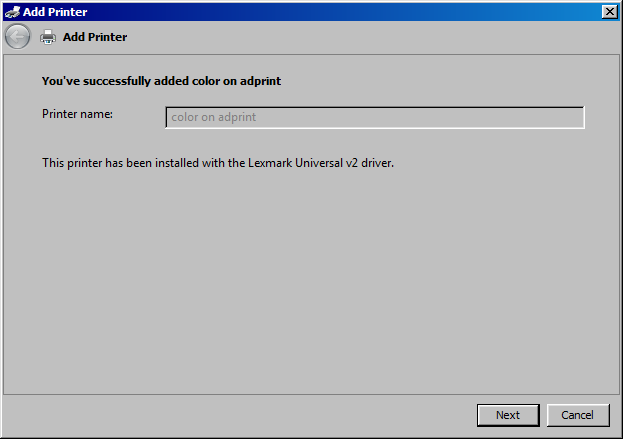 For that you have to map a network drive from the printserver "adprint". 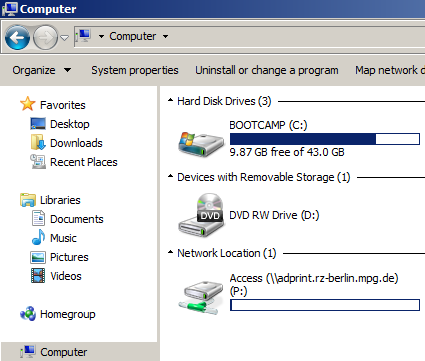 ''Open the "Computer" window and choose "map a network drive"
Select a drive letter and insert in the Folder textfield \\adprint.rz-berlin.mpg.de\Access''. Also mark "Reconect at logon: and "Connect using different credentials". 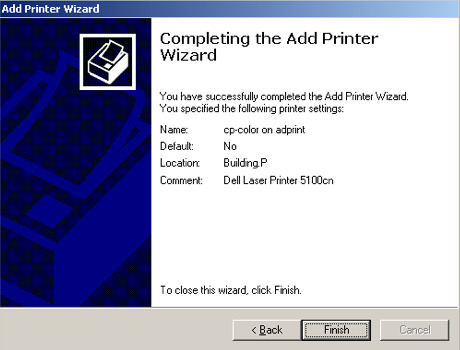 Now click "Finish"
''Insert here your valid FHI Username with the correct domain"haber\username" suffix!Click ok to map the network drive"
''The network-drive "access" from adprint should now be appear in your "Computer" view"
''You can now use the normal guides for Windows 7 or XP Systems to install an printer"
Please contact the it-responsible person in your department (or secretary) to get an fhi account or (of you have a short stay) you can get an temporary printing account from PP&B. 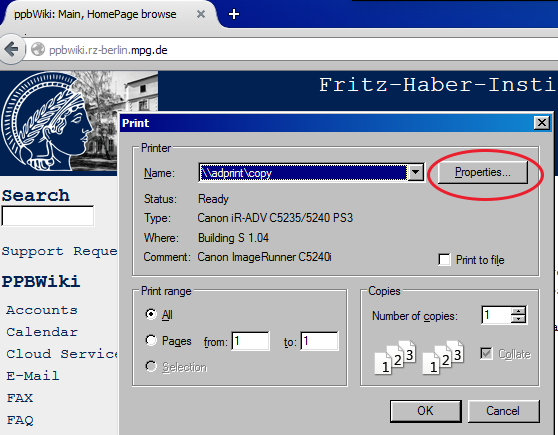 Plasm have a look at the Printserver Webpage: "http://adprint.rz-berlin.mpg.de/printers/"
Secured printing saves a print job in the Canon Printer under an assigned PIN (password) and outputs it later only when the correct PIN (password) is entered at the Canon Printer. 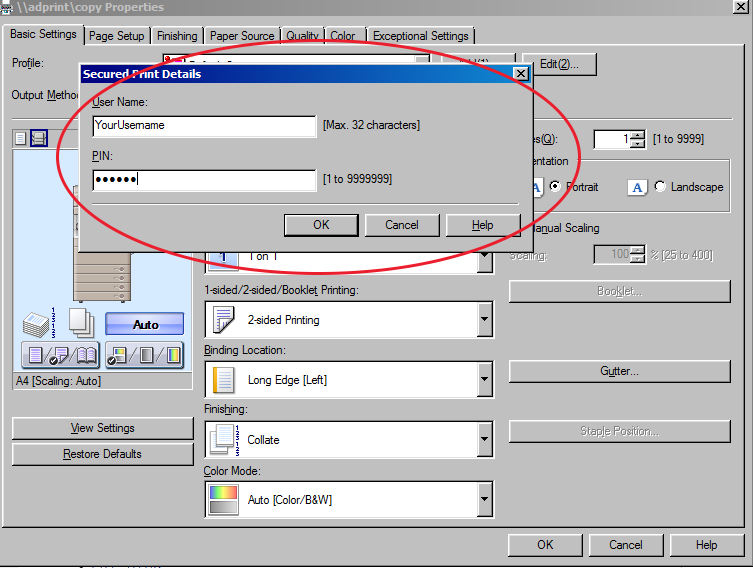 This function is useful when printing a confidential document. 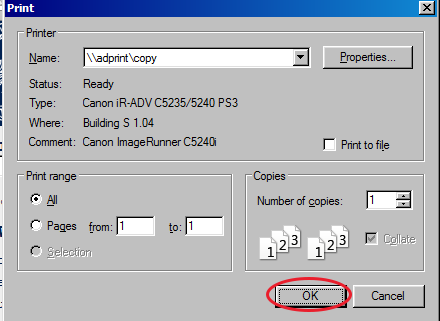 When you're using the pp&b print server "ADPRINT" you can use this function on any canon advance C5240i department printer. 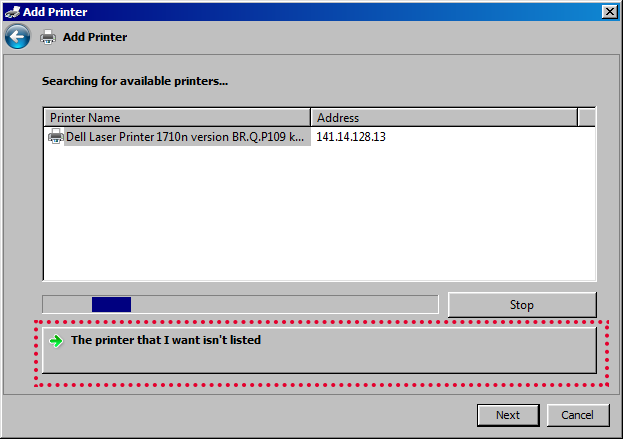 - This works not when printing on the other pp&b print servers like CUPS or without a valid print driver ! 2. 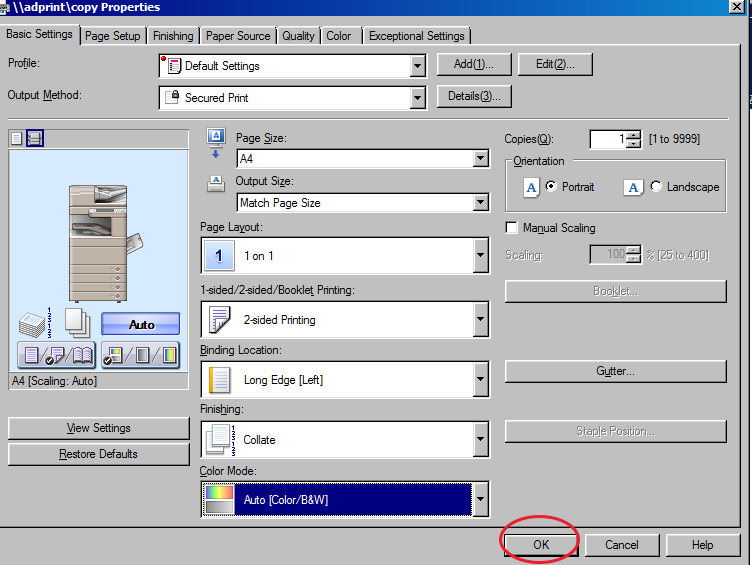 Select �Properties� from the �Print� screen. 3. 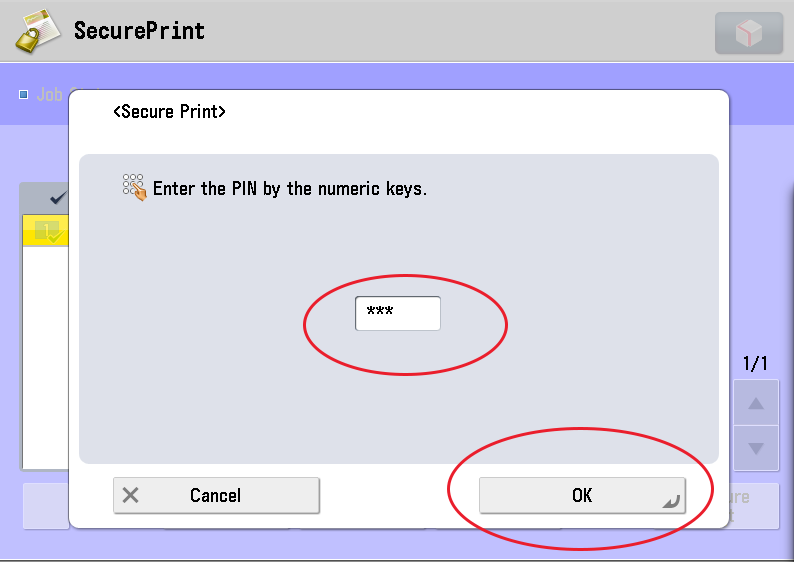 Change the "Output Method" from "Print" to "Secured Print"
4. Set the "User information now" by clicking in "YES"
5. 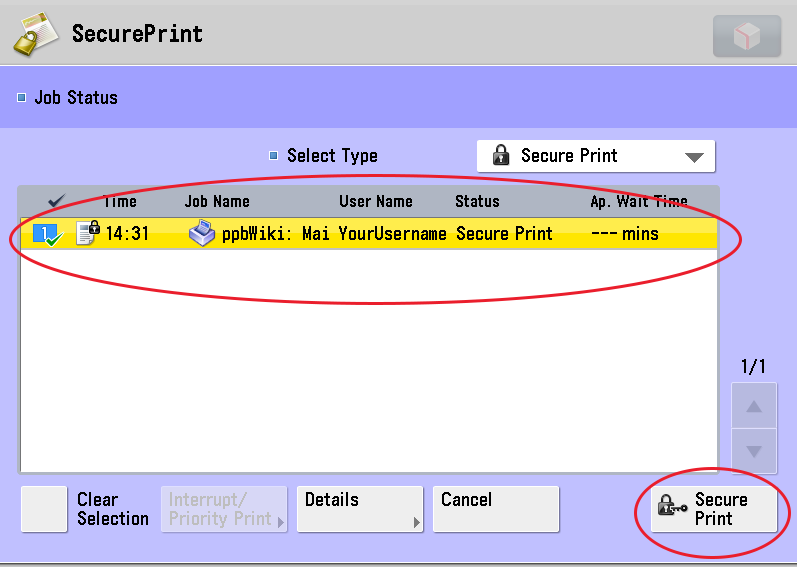 Specify the user name and PIN (password) for the current print job in the �Secured Print Details� screen. 6. 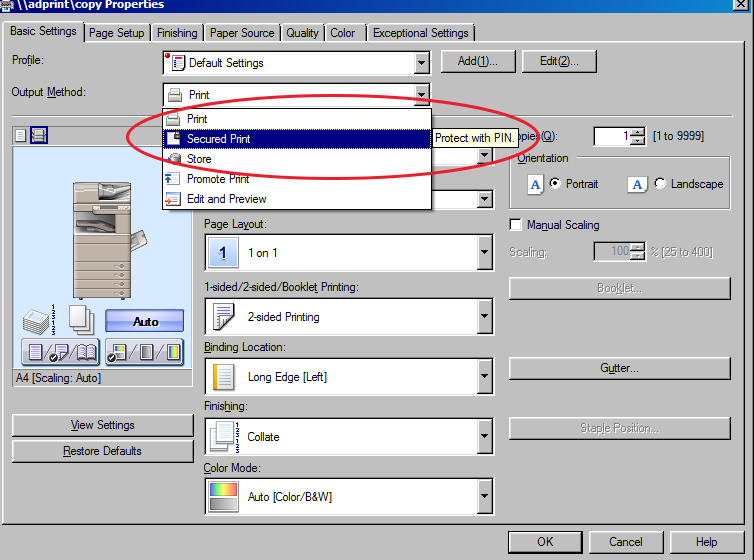 Click �OK� in the �Secured Print Details� screen to save your changes. 7. 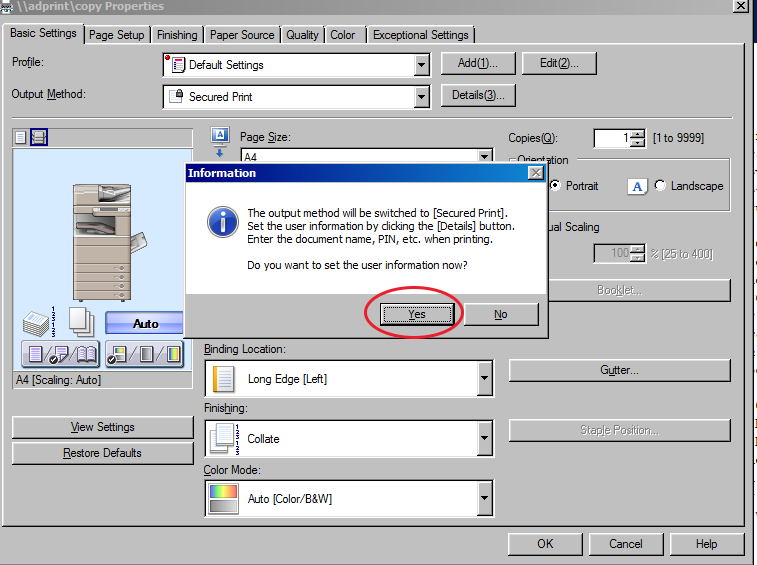 Click �OK� to close the �Page Setup� screen. 10. The print job is sent and saved in the Canon MFP printer.